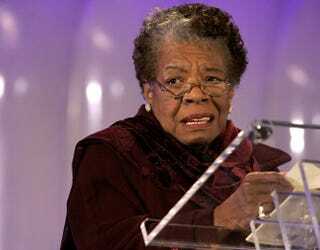 Poet and author Maya Angelou will be memorialized in a private family ceremony Saturday at Wake Forest University. Since she died last week at age 86, resurfaced videos have served as reminders of her wise insights and powerful presence. As final goodbyes are said to the literary legend, we’re left with memories of Angelou in her own words, and in the words of the many people who loved her. In 2006, comedian Dave Chappelle sat down with Angelou in this must-watch interview. Slate offered this compilation of her poem "Still I Rise." In 1997, Angelou lent her voice to the documentary Perfect Moment. The film was never distributed, so this amazing clip has gone largely unseen. After the death of Nelson Mandela, she recited her poem “His Day Is Done,” which paid homage to Mandela’s life and passion for human rights. Journalist Robin Roberts shared her memories through a montage of her interviews. Oprah Winfrey opened up about the passing of her dear friend in her first interview since Angelou’s death. Guy Johnson, Angelou’s son, reflected on growing up “in the shine” of his mother in this 2013 clip.